Melville, NY (March, 2018) – For 2018 Nikon is bringing you its world-renowned optics for the first time in a reflex sight. With the introduction of the SPUR to Nikon’s new P-TACTICAL optics family, you can now enjoy Nikon’s optical quality for a variety of applications. With a 3 MOA red dot, long battery life and an extensive list of features, SPUR is an ideal optic for virtually any firearm platform where fast, reliable, intuitive sighting is desired. Engineered with fully multicoated lenses and Nikon’s proprietary “TRUCOLOR” coating, which virtually eliminates the bluish tint common to reflex sights, the P-TACTICAL SPUR provides a clear, natural view for both-eyes-open sighting. The SPUR’s 3 MOA dot is adjustable with 10 levels of brightness—the first two settings being night vision compatible — and is centered within a 27mm x 16mm sighting window for an extra-wide field of view with unlimited-and-non-critical eye relief. 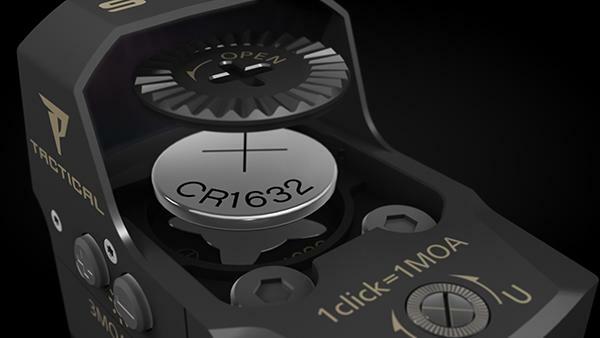 Battery life for the P-TACTICAL SPUR is estimated to be 15,000 hours of continuous usage. 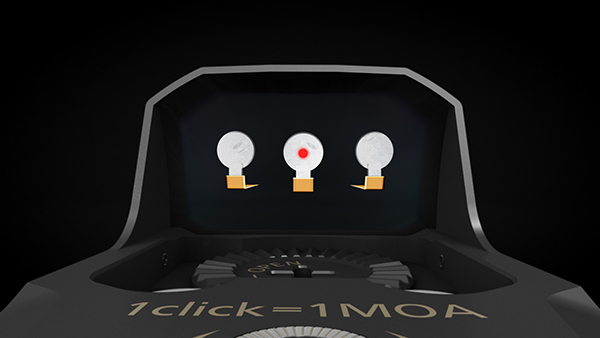 To provide shooters confidence in their optic being ready in the time of need, the red dot in the display will flash to indicate it is time to change batteries. To shrug off the constant recoil that occurs in both rail- and slide-mounted applications, Nikon builds the SPUR on a compact (1.8” x 1.1” x 1”), lightweight (1.1-ounce) aluminum alloy chassis that is shockproof, waterproof (IPX7) and extremely durable. The sight includes a removable Picatinny rail mount for fast, easy mounting to MSRs or any firearm with Picatinny rail or base and a protective hood that covers the sight during storage. Suggested retail price for the new Nikon P-TACTICAL SPUR reflex sight is $219.95. The SPUR and all of its components are covered by Nikon’s 5-Year Warranty. Melville, NY (February 20, 2018) – Nikon has announced that it will become the first-ever Title Sponsor of the NRL (National Rifle League) for the approaching 2018 season. The NRL Presented by Nikon will host 15 national-level precision rifle matches beginning February 23, 2018, and the season will culminate at the NRL Presented by Nikon Championships October 19-21, 2018. Nikon celebrated its 100th Year Anniversary in 2017 with the introduction of its flagship BLACK precision optics line and has more than doubled the size of the line for 2018. The new BLACK FX1000 match grade FFP riflescope and BLACK RANGEX 4K 4,000 yard rangefinder—combined with the NRL Title Sponsorship—demonstrate Nikon’s commitment to the competitive shooting sports. According to Nikon’s Sr. Manager; SRO Sales & Operations, Jeremy Bentham, “Nikon is proud to be partnering with the NRL for 2018 and we are looking forward to working to promote the sport together.” The NRL is recognized for its support of competitive rifle shooting and of the athletes who are participants. “Nikon is a world-renowned optics manufacturer and with the introduction of the new BLACK line we are thrilled to have the opportunity to work together to help grow the precision rifle sports. We could not be more excited to be partnered with Nikon in 2018 and look forward to a very successful season,” stated Travis Ishida, President of the National Rifle League. National Rifle League is a 501c3 non-profit organization dedicated to the growth and education of precision rifle shooting through a range of outdoors-related public interest activities. These activities are designed to develop marksmanship skills for those participating in the shooting sports, and to educate the public about firearm safety. Its mission is to enable growth in the competitive shooting sports, for those who have aspiration for their communities, their businesses, families, and themselves. National Rifle League supports them on their journey from ambition to achievement. And therefore, it is so proud to support match directors and competitive shooting athletes as they represent all of us over the United States. For more information, please visit: www.nationalrifleleague.org. Melville, NY (November 21, 2017) ­- Nikon Sport Optics has announced the availability of a new line of logo apparel on its website for hunters and shooters. The comfortable and stylish gear is designed for everyday wear and made of quality, long lasting materials. 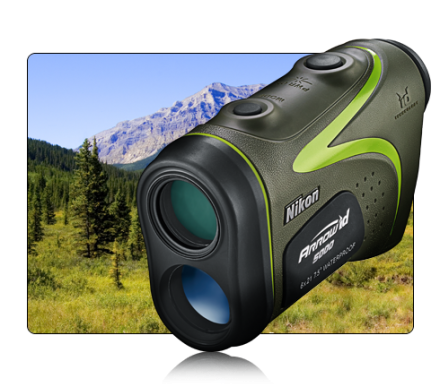 In addition to the new clothing items, an all-new homepage has also been launched on the company site, nikonsportoptics.com, that features added learn-and-explore topics to engage visitors. 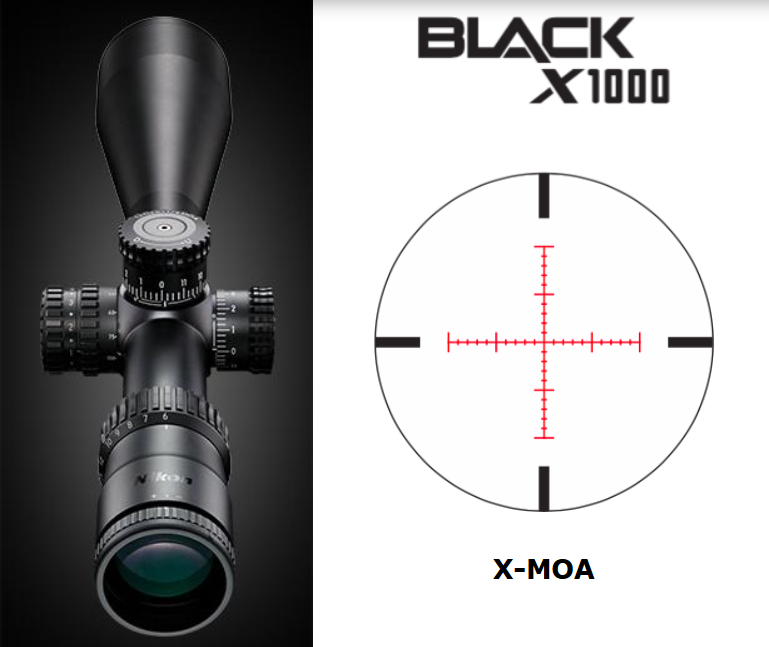 The BLACK X1000 features a Side Focus Parallax Adjustment, which allows adjustment without changing shooting position and Illuminated control with 10 intensity levels with incremental “OFF” between settings, allowing you to be at your favorite illumination setting with “OFF” rotating in either direction. BLACK series riflescopes all feature a 30mm main body tube built with aircraft-grade aluminum alloy and Type 3 hard anodizing, providing exceptional ruggedness and optimum strength-to-weight ratios. Each riflescope has an optical system built from Nikon’s lead- and arsenic-free glass, which is optimized with the company’s full multilayer coating on all air-to-glass lens surfaces. Spring-loaded instant zero-reset turrets provide precise, repeatable corrections. Like all Nikon riflescopes, the new BLACK series is backed by the company’s No Fault policy for repair or replacement. Nikon’s new BLACK X1000 6-24x50SF IL X-MOA will be available Summer 2017. 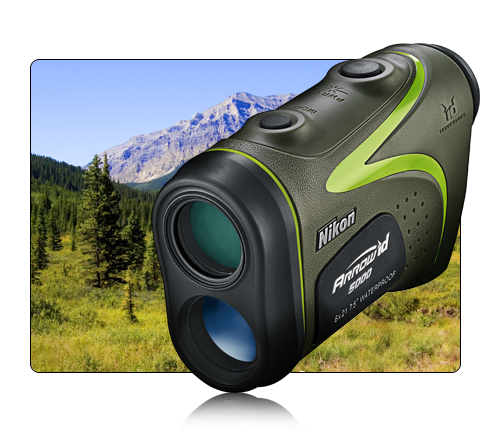 Melville, NY (April 19, 2017) – Nikon Sport Optics has officially announced the introduction of its highly anticipated binocular with a built-in 1900-yard laser rangefinder. 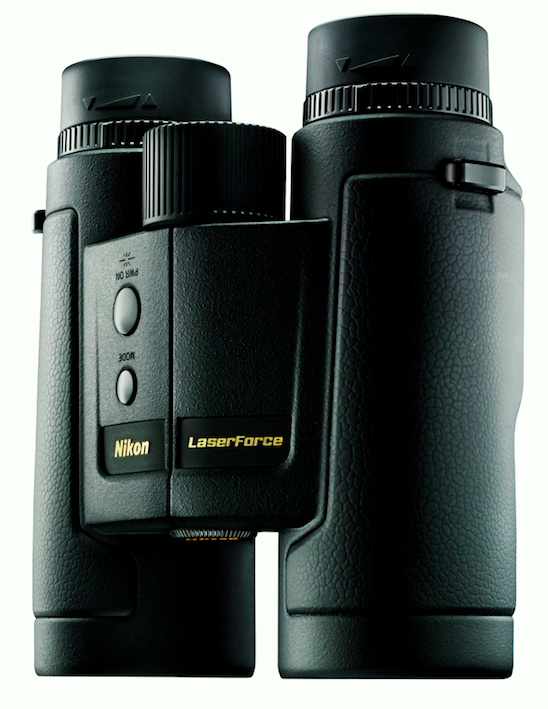 The new LaserForce rangefinder binocular combines superior optical quality, ergonomic single-hand control, technologically enhanced features and a 100% backing with Nikon’s No-Fault Policy. 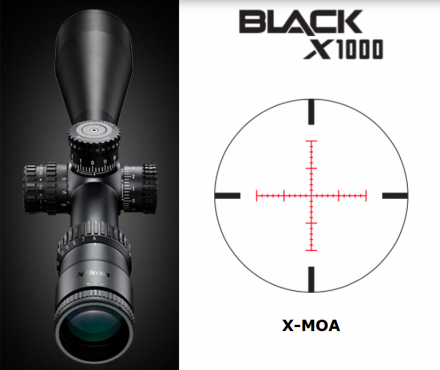 This combination equates to a highly efficient, must-have optic for results-driven hunters and shooters. LaserForce features a laser capable of ranging distances from 10-1900 yards* with instantaneous readouts on a crisp OLED display. Distances are displayed in 0.1 yd increments to 100 yards, and 1-yard increments over 100 yards. The OLED display offers a 4-step brightness adjustment, making it easily readable under any light conditions and against various objects. Featuring Nikon’s ID (Incline/Decline) Technology to compensate for the effects that slope has on trajectory, LaserForce provides hunters and shooters with the compensated range necessary to make the shot, whether uphill, downhill or on level ground. The 10×42 binocular component of the optic features ED (Extra-low dispersion) Glass. This superior glass corrects chromatic aberration that causes color fringing for high-resolution, contrast-rich images. Additionally, full multilayer-coated lenses and prisms and a reflective mirror coating that is applied on the mirror surface of the roof prism unit reveal pristine images. The long eye relief design, combined with turn-and-slide rubber eyecups facilitate a custom fit for users’ individual viewing needs, with or without eyeglasses. The overall design of LaserForce was engineered with the specific needs of hunters and shooters traveling the world’s most rugged types of terrain. The rubber armoring conforming to a metal die-cast body provides a highly durable exterior with a grip that is tailored to the texture and shape of the human hand. LaserForce is also completely waterproof/fogproof with a nitrogen-purged body that prevents fogging or molding inside the optical system, even under significant changes in temperature. With an MSRP of $1,199.95, LaserForce is the single optic solution for serious hunters and shooters who mandate a high-quality binocular to acquire a distant target and a dependable laser to range the exact distance before taking the shot. Nikon has just released their new Arrow ID 5000 archery rangefinder. The Arrow ID 5000 features long eye relief (18.3mm), an adjustable diopter, and 6x, bright, multicoated optics, and operates on a single CR2 battery. 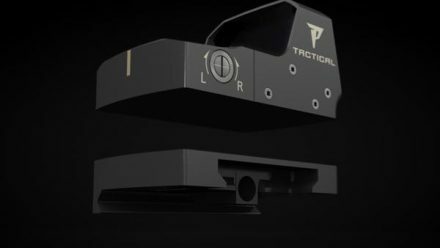 It utilizes ID (incline/decline) technology which allows bowhunters to range horizontal distance to targets from a treestand or in steep terrain, as well as tru-target technology which allows users to switch between first target and distant target priority mode. The Arrow ID 5000 comes standard with a neoprene case in RealTree APG camo.